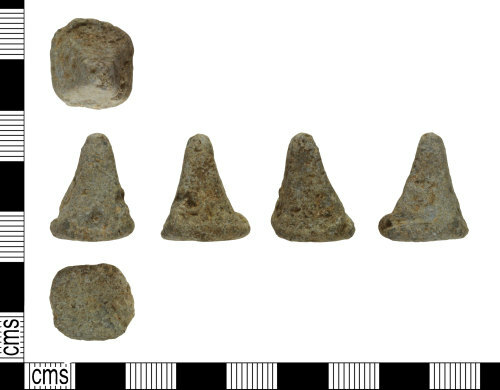 A lead-alloy medieval gaming piece, dating to the period AD 1100-1500. It is broadly triangular in shape with a flat, rectangular base. It measures 18.46mm in height, 13.17mm long and 14.38mm wide base, tapering to a point. In total, this weighs 12.31g.